In this generation that we are living in, technology has become advanced, population has rapidly increased, and prices of food and grocery items have jacked up, making every day tougher to survive. While the number of restaurants that I want to visit has multiplied, sometimes I still long for the simple and cheap food around food courts, especially being a person who works a salary-paying job. This is where the likes of Tower Cafe comes to the rescue. 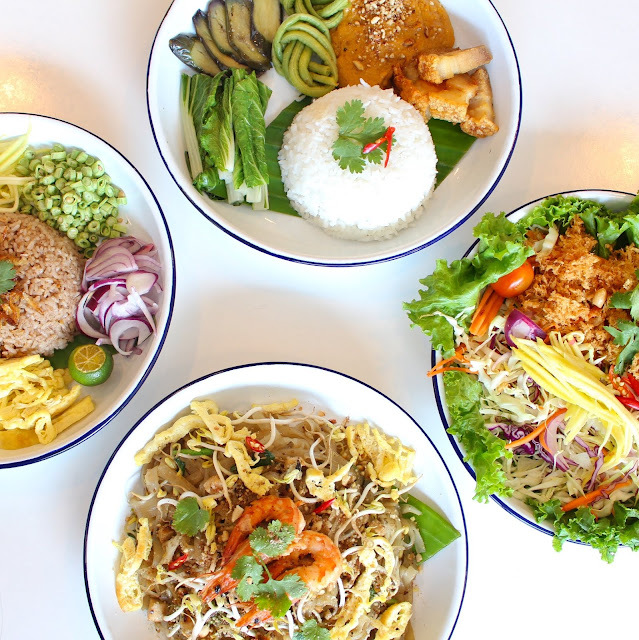 Tower cafe is the newest addition to The Menu Group's food ventures. From the guys that brought you Sobremesa, Sangkap, Sasa and Splice, TMG has brought in a new concept full of diverse and unique flavors under one roof. 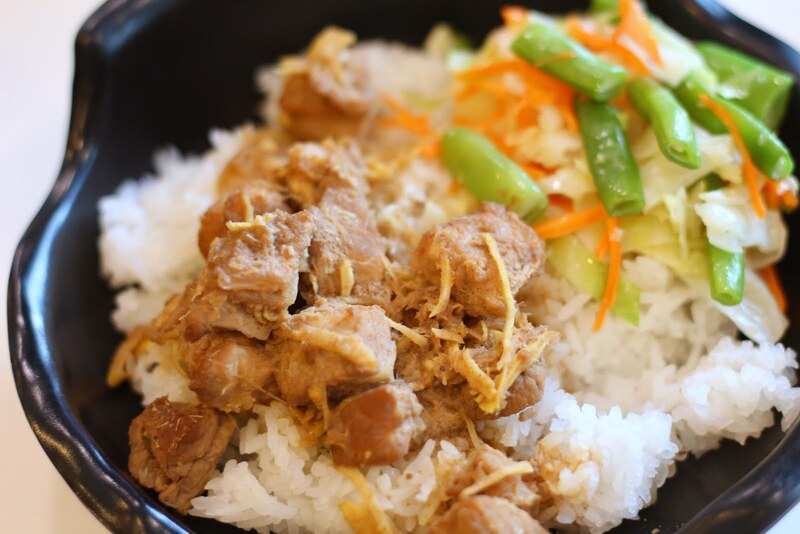 Let's indulge in some of the varieties found in this food court, shall we? 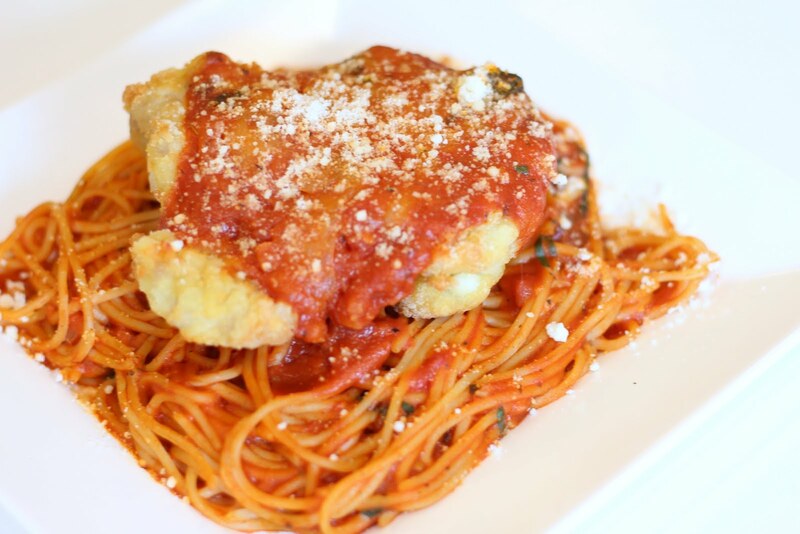 Pasta club is owned by a chef who wants to bring to its customers' tables affordable and legitimate pasta dishes. Their pomodoro pasta tasted like any other red sauced pasta, with a huge, fried chicken parmigian on top to pair it with. 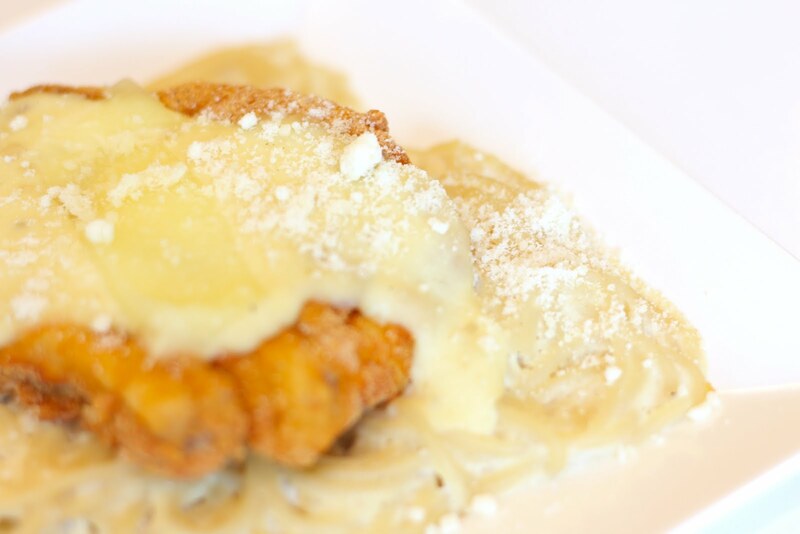 The chicken alfredo had a creamy, milky white sauce topped with pork chop. Spang is inspired by a story of the colonization of Surinam, a country located in South America. 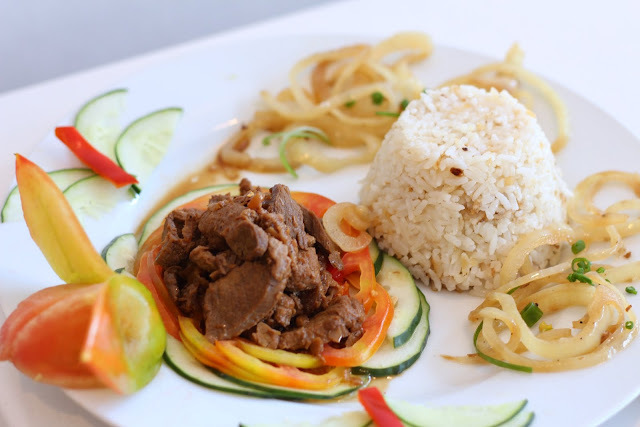 Their colonizers brought together people of different nationalities to work in Holland, and from there, the sharing of recipes started and international cuisines emerged. "spang" in Surinam means delicious, which is a very fitting name for this stall that serves "spang"-tasting dishes. Moksi Meti, which means "pork specials" is one of their best sellers. 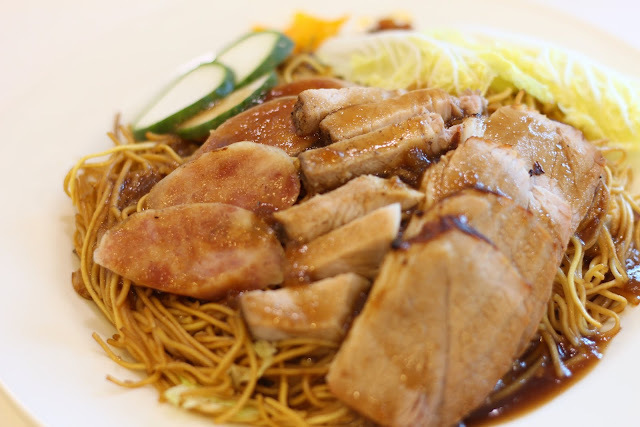 It is composed of several pork meats such as the Fa Chong Sausages, Char Siu Pork, and Chinese Crispy pork, and paired with chow mien noodles. 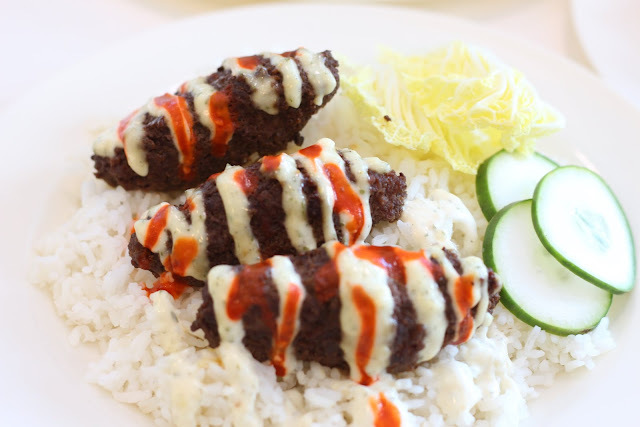 It is then topped with their special moksi meti sauce. The overall flavor of this dish is astounding. 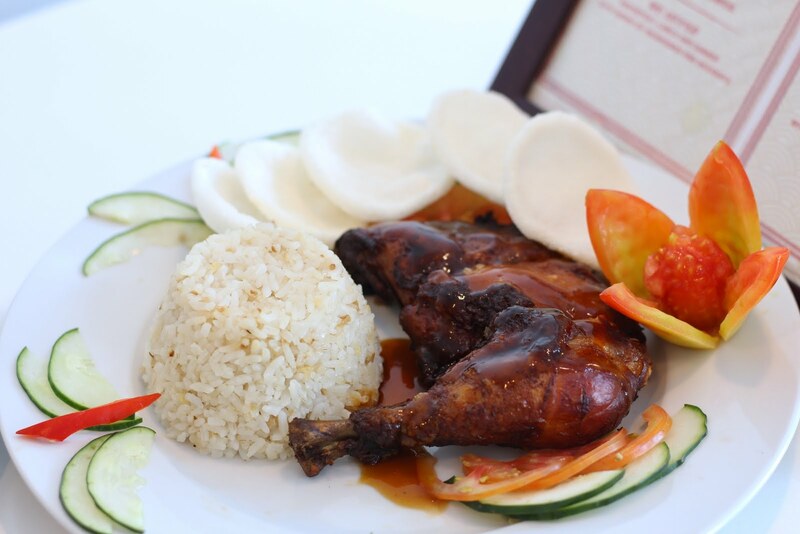 You can never go wrong combination of all those succulent meats and sweet and salty special sauce. Just came from a long weekend and looking for the perfect cure for a hangover? Then this Dutch created dish is for you. 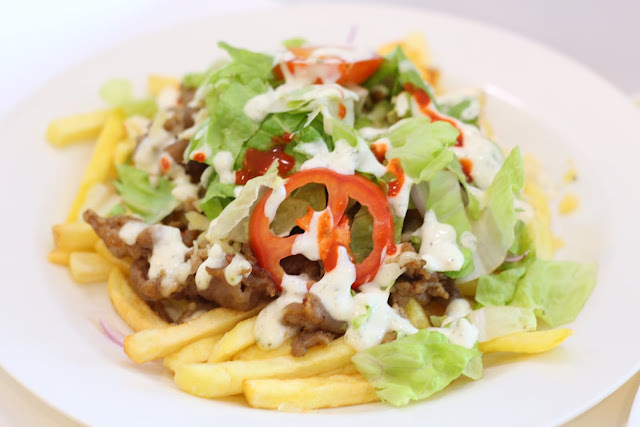 Kapsalon is made of french fries, kebab, cheese and mixed salad drizzled with garlic dressing. It's fries with lots of toppings. Need I say more? Spang has got to be my favorite stall in Tower Cafe because of the rich story behind each meal and the flavors each carries. Tired of coming back to a buffet's tempura station only to discover that there's nothing left? Well, it's time to stop prolonging the agony, maawa ka naman sa sarili mo! 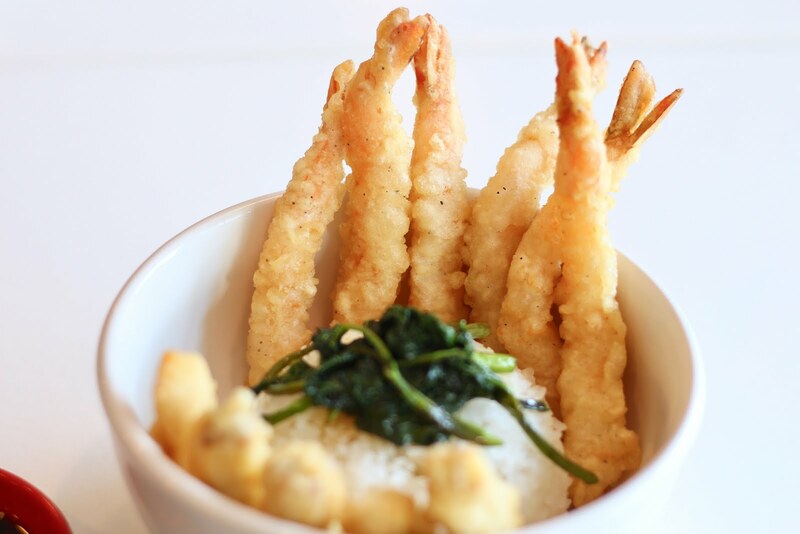 xD Tempmura has tempura dishes for your daily tempura cravings that is perfect even during days when you feel like your pockets are tight. The taste of their items are not bad given the affordability. Feel like throwing a party? Tempmura also accepts bulk orders. 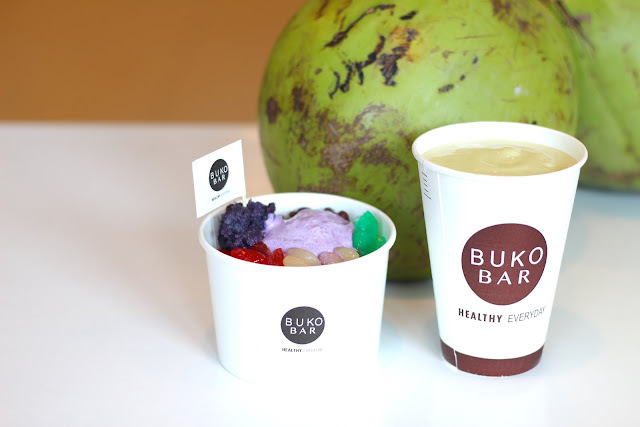 Buko bar is a kiosk selling different products, all that you can imagine, by utilizing one main ingredient. Buko has been a fruit that's slowly becoming a staple in our lives because of its refreshing juice, delicious meat and overall health benefits. Buko bar offers a wide variety of products, from buko juices, 11 different flavors of fruit shakes to choose from plus 5 incredible desserts. GO! Salads offer all kinds of healthy food and beverage, from salads, sandwiches, snacks, to smoothies, using organically grown ingredients from the Gonzales farm in Tanza. 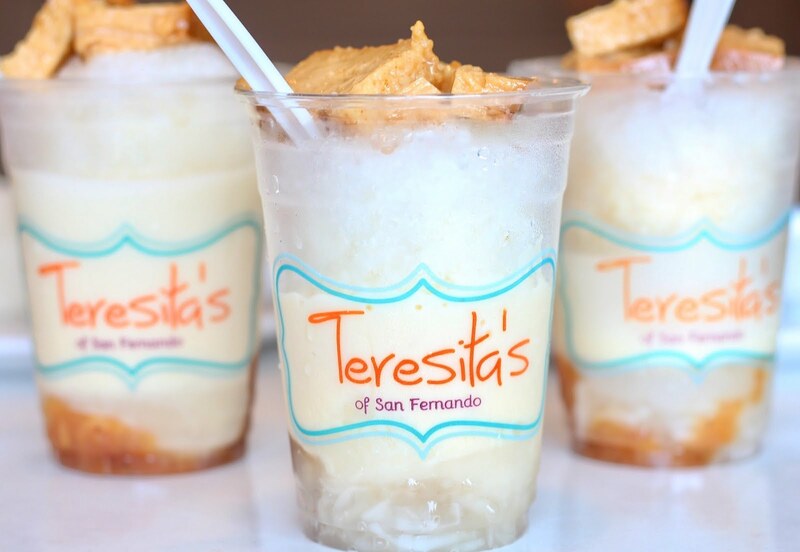 It is a product of founder JR Sebastian's fueled desire in bringing Filipinos closer to healthy eating. From the humble beginning of a single kiosk 3 years ago, Go! Salads has since grown, now having 10 branches. Go Salads! 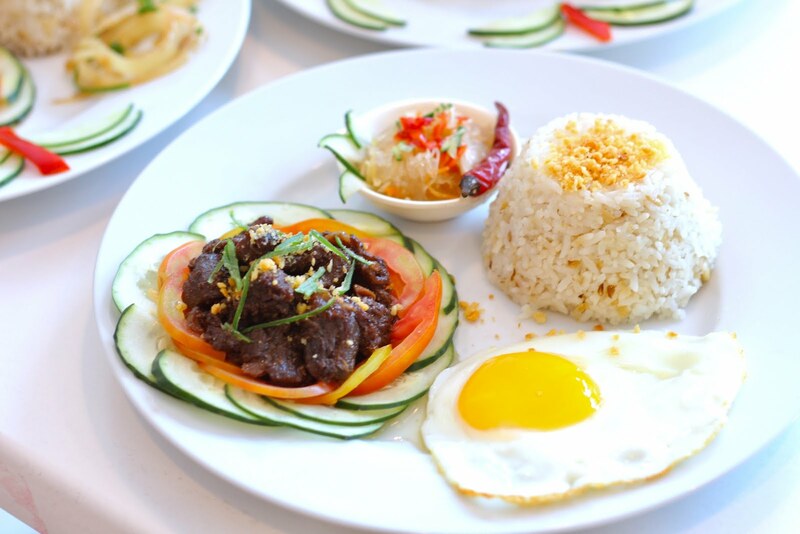 has opened its newest branch at Tower Cafe, making healthy eating more accessible to the working class in Makati. We were able to try their Rock Smoothie, a concoction made of banana, raw cacao nibs, almonds, coco sugar, greens and soy milk, and I loved it! The raw cacao nibs were highlighted in the drink, making it one of the most healthy and delicious drinks I've ever had. At the end of the day, Go! Salads has a whole lot of fresh dishes in store for you, guaranteeing that everything uses #greensthatyoucantrust. 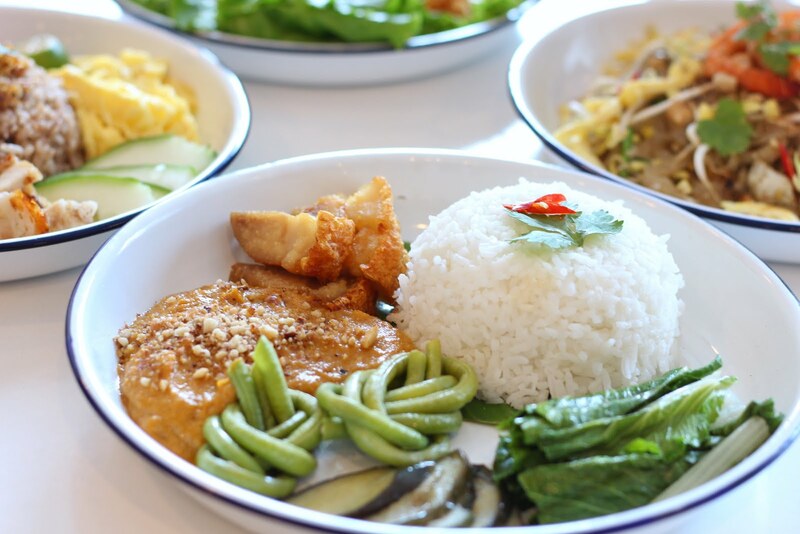 Chang Thai is a name founded by Chef Aof Suwannalert, a Thai chef who had a hand in the success of Craving's Group's Rice Lane and Madame Ginger. 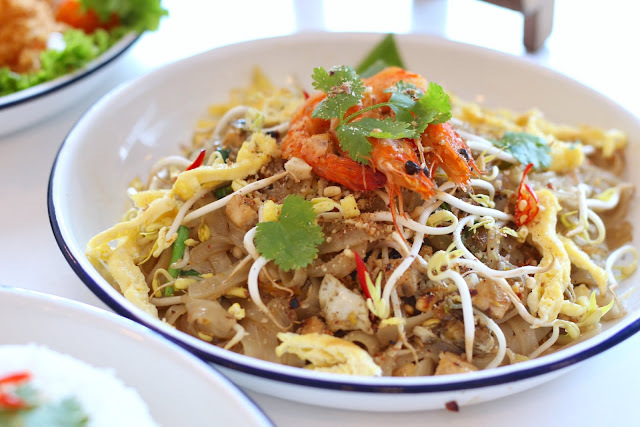 The pad thai was good. The noodles were firm and not soggy. The catfish salad was delicious! The green mango on top of it gave the salad just an enough amount of acidity for it to taste so refreshing. The mango sticky rice was my absolute favorite! 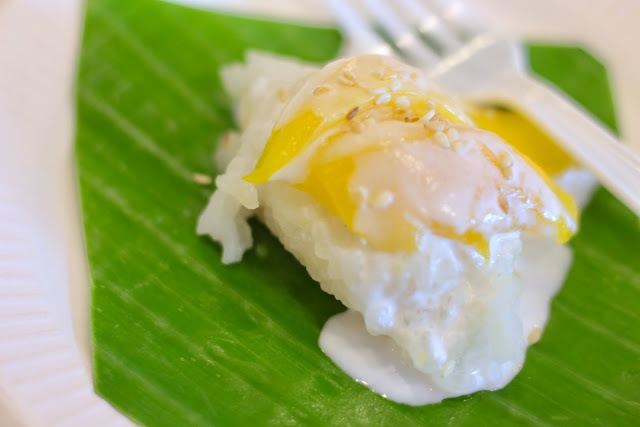 The combination of the mangoes and coconut milk on top of the sticky rice was divine. 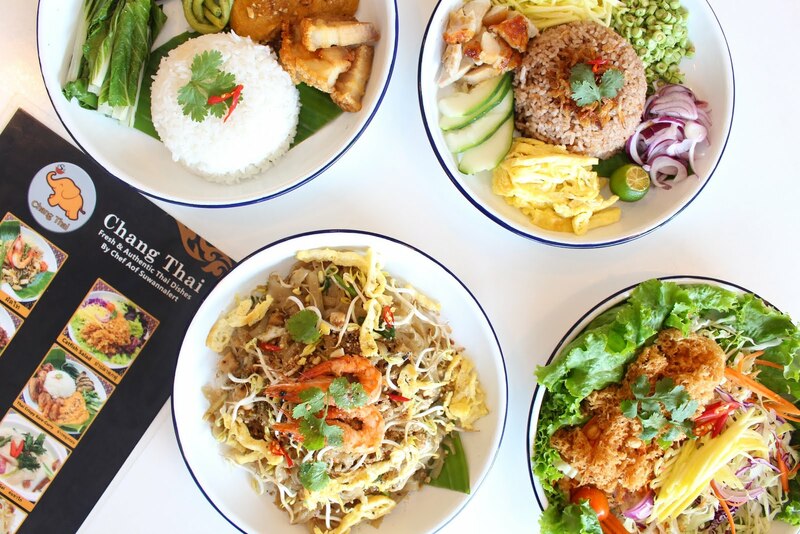 Chang Thai offers a lot of promising Thai dishes, dishes so good that it gives you a taste of the chef's passion. 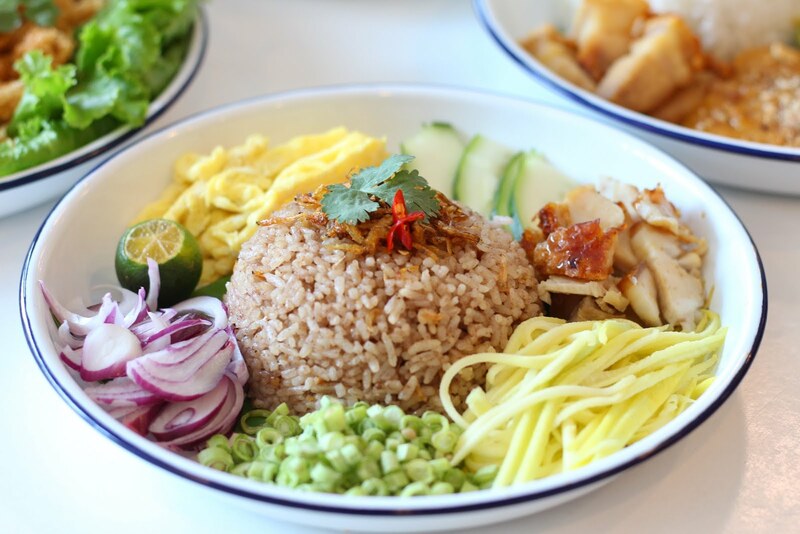 Soulful Thai Viet will take you across 3 countries in Asia, just like how its highly experienced chef's travels contributed to his passion to create delicious and quality food. Chef prepared some kaeng gulai, chapchae, and spiced chicken for us to try. They were all great, but the one that had the most impact to me was this dish (I forgot its name), because I liked how it had that complementing gingery and slightly sour taste.